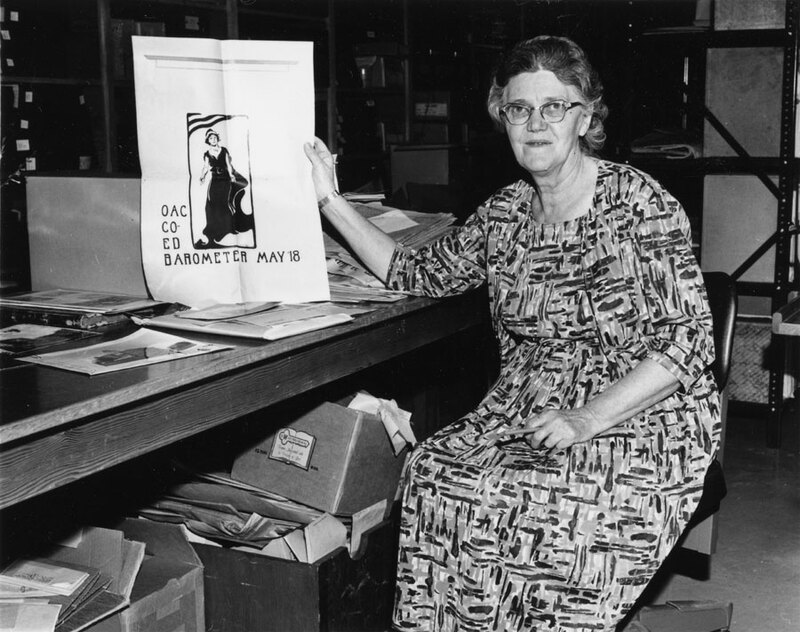 Harriet Moore, the first Oregon State University Archivist, 1965. Contact us at scarc@oregonstate.edu to submit a reference request, inquire about making a reference appointment, or ask other questions. A staff member will reply to you directly as soon as possible, most likely within one or two working days. The Special Collections & Archives Research Center is open from 9:00-5:00, Monday through Friday.